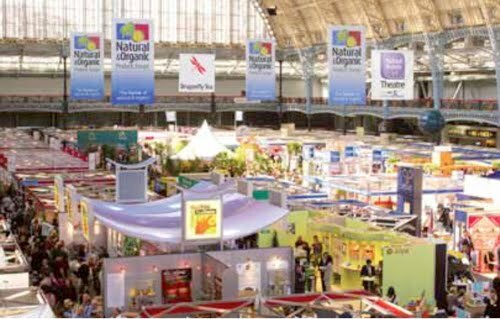 > Meet us at the the Natural & Organic Food Show, Olympia, London April 3-4. The Hive Honey Shop will be in full swing at the Natural & Organic Food Show, Olympia, London April 3-4. It’s the largest Organic food show in the UK. We are there to show off HayfeGUARD to the health food industry. We have been inundated with requests to supply chemist, health shops, GP practices and others, so we decided to pull the stops out and shout about it. We have a fantastic stand space designed to explain the full benefits of HayfeGUARD our local honey, pollen and royal jelly perpetration that so many hayfever sufferers are passionate about. WEBSITE LAUNCH– Set to go live March 30th. We are very excited about the dedicated HayfeGUARD® website just about really for all to see. It’s packed with information, photos, testimonials, case studies and will be able to answer and support all your questions. FREE SEED PACKS– yes we did it. One of our commitments to supporting bees and beekeeping was to produce seed packs containing Native British Wildflower varieties to give to schools and the business sector to encourage them to get involved, plants flowers for bees and butterflies to feed from. This will help to provide a better abundance of food, lacking at present and contributing to the decline of our honeybees. We hope that by our involvement and spreading the word others will join in and do what they can to help our bees!